Join the South California Black Business Expo Movement! Join the SCBBE Movement; Bringing Communities Together Through Business Connections. 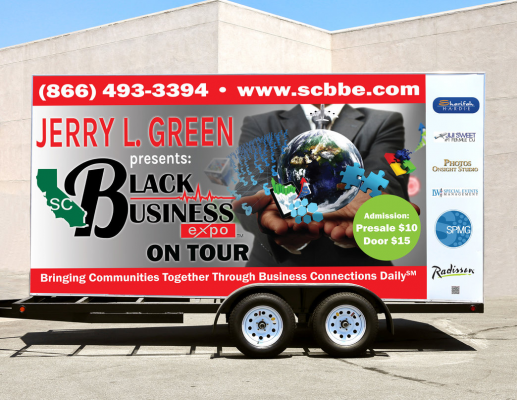 Help us reach our goal of raising $15,000 in the SCBBE Mobile Billboard Crowdfunding Campaign. Donate today!